The Curious Gem is a UK based company which supplies superior quality gemstones, beads and briolettes to jewellery designers across the world at the best possible prices. We buy our beads direct from the manufacturer, often hand-picking the gemstones ourselves to ensure the best possible cut, clarity and colour. For more information about our beads please click here. We also offer a range of high quality jewellery findings and components, including gold vermeil, sterling silver, gold and rose gold filled findings. Victoria Brown, who established the business in 2007, has a genuine passion for gems and gemmology and holds a Foundation Certificate in Gemmology awarded by the Gemmological Association of Great Britain. She has the expertise and equipment to be able to test gem material and for quality control purposes will occasionally test a selection of beads - to date there have been no issues. Customer satisfaction is our top priority and we aim for a long term relationship with every one of our customers built on trust. Please see our customer testimonials for genuine feedback on our products. 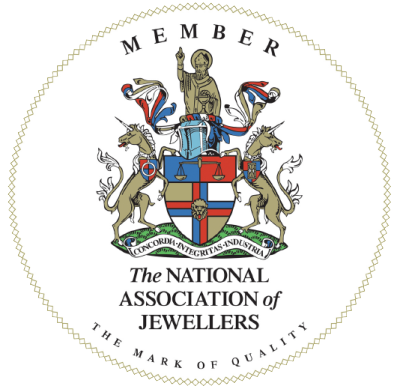 "There are many suppliers of beads both online and offline and I am very aware that customers need to know that they can trust their supplier. As sellers we are very careful to accurately describe the beads we sell to the very best of our knowledge - we are not in the business to try and pass off dyed quartz as ruby or deliberately mislead customers. Over the years I have found that it is best to work with a small number of trusted suppliers rather than obtain beads from large variety of sources. I have personally met all of our suppliers and have built a good business relationship with each of them. They have been manufacturing gemstone beads for many years and are incredibly knowledgeable about their trade. The price of beads is a subject close to everyone's hearts. In my experience, when it comes to gemstones, you really do get what you pay for. If you come across a strand of AA grade aquamarine for £5 it is more than likely it is not aquamarine as there are minimum manufacturing costs for all gems. Of course, all gemstones are graded - the lower quality being more abundant and considered less desirable, thus attracting a lower price tag. High quality, nicely cut gemstones with good clarity will always be more expensive - you are paying for the scarcity of the rough material and the skill of the cutter. It is therefore really important when comparing prices between sellers that you are actually comparing like from like: you should look at the quality of the stone (clarity and colour), quality of cut and carat weight (for example, there will be a noticeable price difference between a 3mm and 4mm strand of rondelles). I hope you enjoy browsing our website and if there is anything we can assist you with please do not hesitate to get in touch."